If you’re looking for Instagram-worthy backdrops in San Francisco, you won’t have to search very far. Just seven miles by seven miles, our city packs quite a punch when it comes to historic monuments, public art and trendy businesses. We compiled all three of these categories into one guide so your Instagram can show off all of that and more. Use our map below to locate each stop on our Instagram tour of San Francisco. 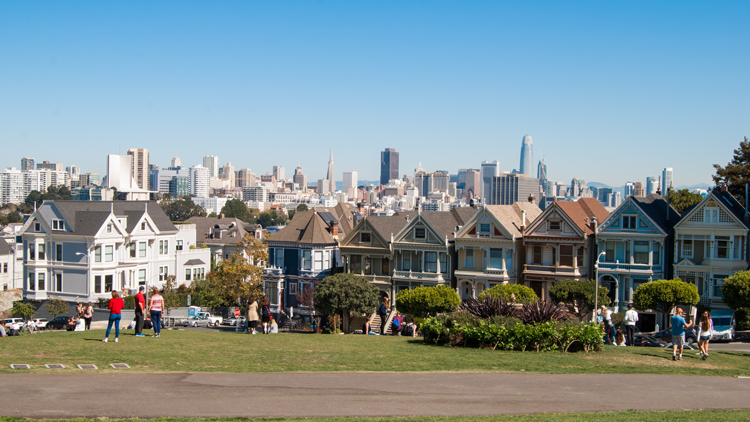 Offering the best view of San Francisco’s famous Painted Ladies, a trip to Alamo Square Park is a trip to one of the city’s most charming open spaces. The houses themselves are some of the most photographed in San Francisco and you’ll probably recognize them from both Full House and Mrs. Doubtfire. The park also offers a dual-level playground for kids, an off-leash area for dogs, a full tennis court, picnic areas and sights like the Shoe Garden, lawns, flowerbeds, and willows. You can find news and information here courtesy of San Francisco Recreation & Parks. This flower shop and design studio puts together fresh flower bouquets and designs that are as inspired as the shop itself. The turquoise barn is located in the Mission and is open every day for walk-ins. Stop by to snap an Instagram-worthy photo (or one hundred) and take home your own bouquet. In the words of Clarion Alley Mural Project, their mission is to support and produce socially engaged and aesthetically innovative public art as a grassroots, community-based, artist-run organization in San Francisco. Since 1992, CAMP has created more than 700 murals, including the art that has transformed Clarion Alley itself into a street art exhibition. It’s located on one block between 17th and 18th and Mission and Valencia Streets in the Mission District, and we also recommend swinging by its inspiration, Balmy Alley. A jaw-dropping sight from inside and outside, the Conservatory of Flowers in Golden Gate Park is the oldest public wood-and-glass conservatory in North America and is constructed in beautiful Victorian style. 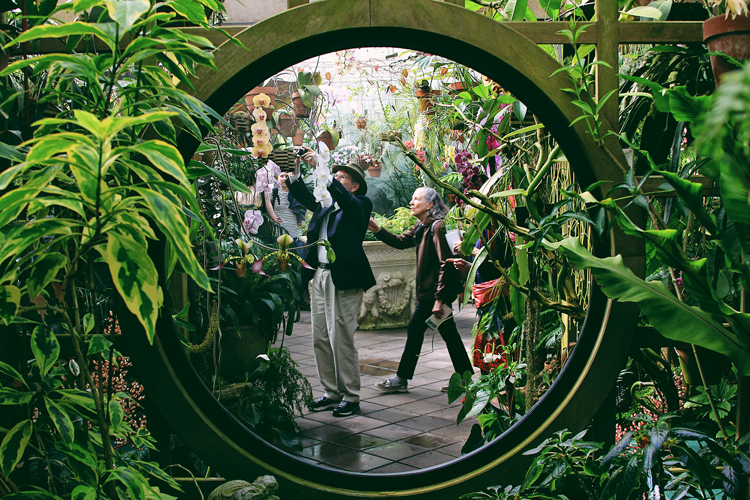 The interior is home to tropical plants of all kinds, aquatic plants and the famous Amorphophallus Titanum, otherwise known as the corpse flower which blooms only once every few years and emits an odor of rotting flesh. Located in the heart of Golden Gate Park, de Young isn’t just a destination for painting, sculpture and textile art-lovers. From the top-floor observation deck, you can take in an iconic 360-degree view of the entire city! On the lower levels, collections encompass American art, art from Africa, Oceania, and the Americas, as well as textile arts. If you don’t get an Instagram photo in front of the Golden Gate Bridge, did you even go to San Francisco? This iconic landmark spans the one-mile strait connecting San Francisco Bay and the Pacific Ocean. 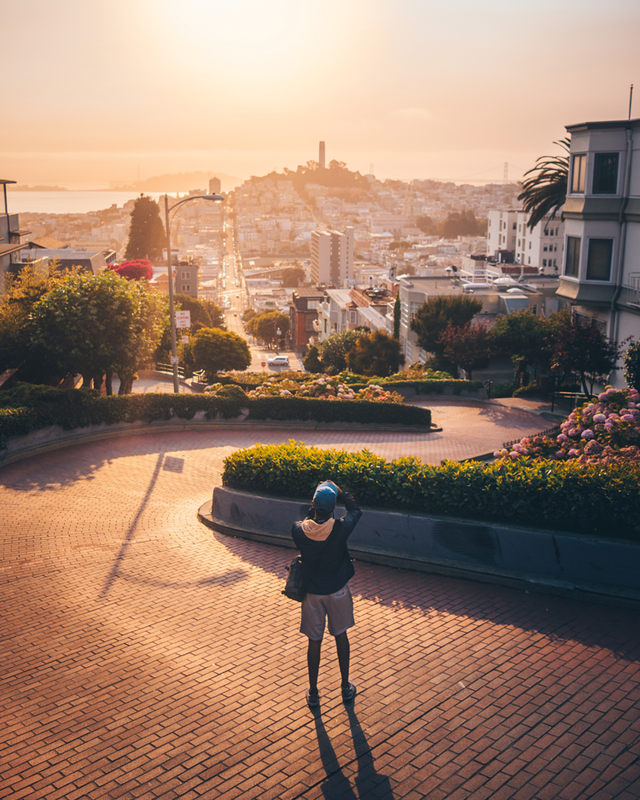 If you travel across it, you can get to Marin County and some of the region’s most picturesque attractions, including Sausalito, Marin Headlands and Point Bonita Lighthouse. If you choose to stay on this side of the bridge, we recommend heading to The Presidio for the best views. A relatively new landmark of San Francisco, the Lincoln Park Steps were reimagined and renovated by Friends of Lincoln Park and The San Francisco Parks Alliance. 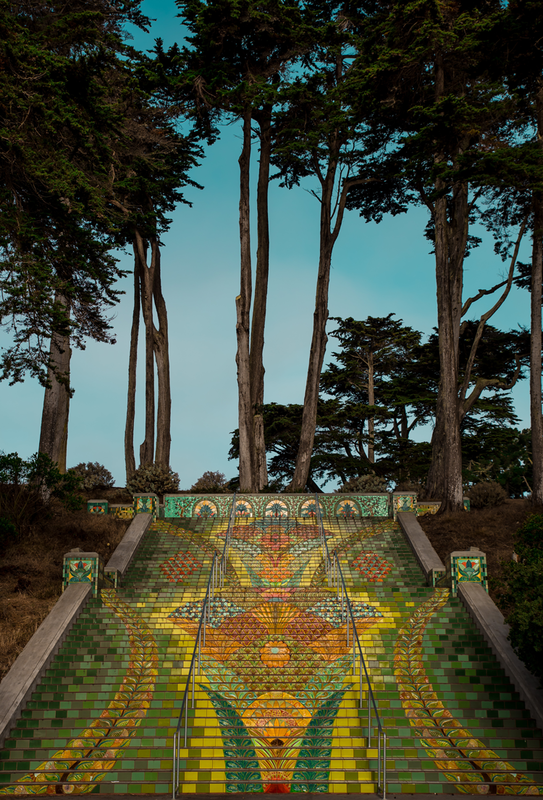 Today, you can find the iconic steps—now a beaux arts-inspired public art installation—at the edge of Lincoln Park on the Western end of California Street. Lombard Street is a famous landmark in San Francisco thanks to its unique construction, flowering gardens, red brick road and 5 mile-per-hour speed limit. The road consists of eight hairpin turns over just a quarter mile which makes it the world’s most crooked road. That’s a total of 1,440 degrees twisted and turned on a 27% incline in only 400 meters! 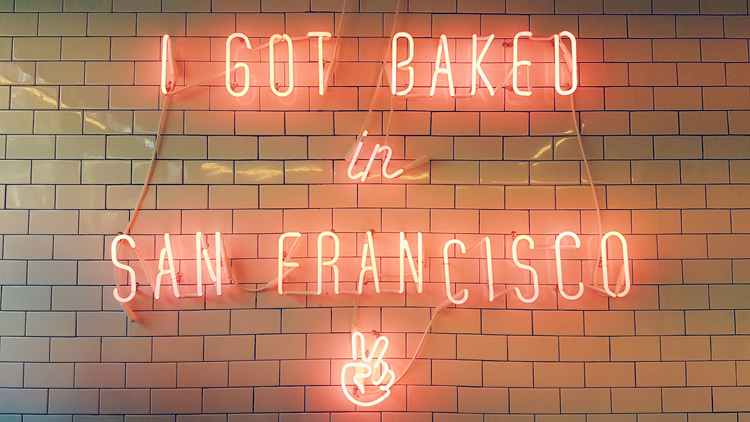 Worth a visit for both the food and the Instagram opportunities, Mr. Holmes Bakehouse is a California bakery with two locations in Los Angeles and one right here in SF. Their cruffin has already taken the Instagram world by storm and their San Francisco location offers the perfect backdrop for even more photos (including a neon sign!). You may come for the cruffin, but you’ll leave with a box full of donuts, sticky buns, matcha croissants, danishes and cookies, too. And a photo, of course. What began as a touring, interactive pop-up experience in Manhattan has turned into a permanent museum right here in San Francisco—and has become one of the best Instagram photo ops in the country. The bright exhibits are set up as a maze of rooms containing things like a cookie carousel, a unicorn and a swimming pool of rainbow sprinkles. Along the way, you’ll also get multiple tastings of ice cream! 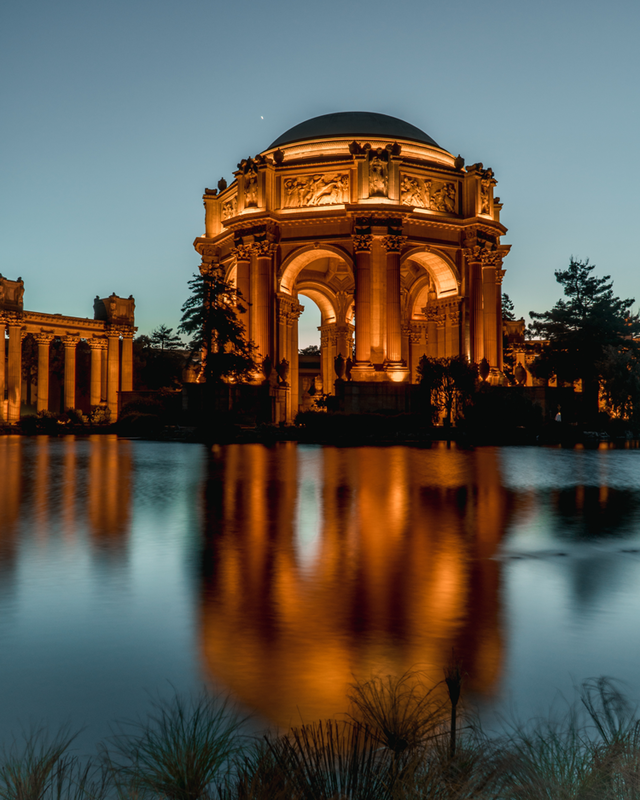 This picturesque landmark was originally built for the 1915 Panama-Pacific Exposition as an art venue. One of only a few surviving structures from the Exposition, it is still situated on its original site and now operates as a venue for private events, public marketplaces and more. When it’s not reserved for an event, you can explore the pathways and the architecture that have made it one of our favorite sights in the city. 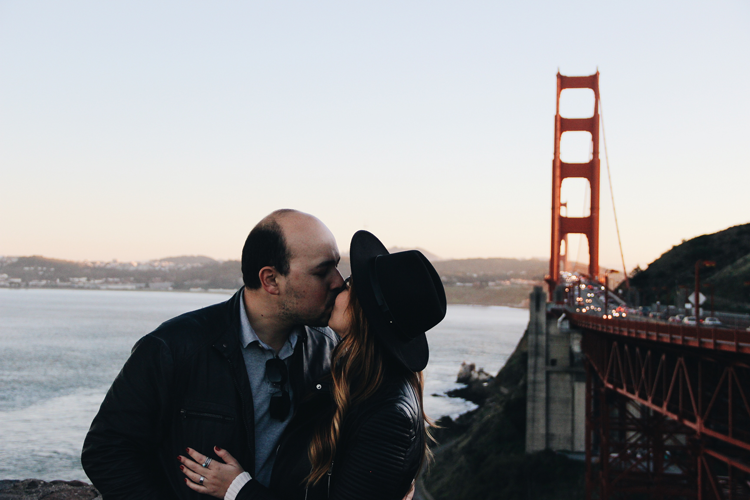 A must-visit in San Francisco, The Presidio is one of the best place to see the Golden Gate Bridge, it’s home to some of the city’s best hikes, it’s filled with history and military landmarks, and it’s one of the best places to go for local, crafted food. 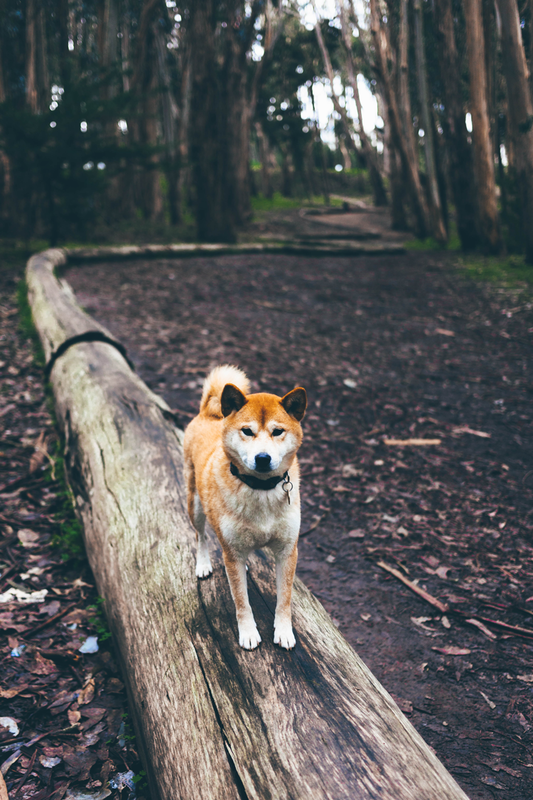 When you’re ready for your Instagram shot, look for Andy Goldsworthy’s Wood Line along Lovers’ Lane , the Golden Gate Bridge and the life-size Yoda statue at Lucasfilms. And check out Your Guide to Spending a Full Day in The Presidio, Mapped for things to do. One of San Francisco’s most famous murals adorns the walls inside the San Francisco Art Institute. Titled The Making of a Fresco Showing the Building of a City, the work of art was completed by legendary muralist Diego Rivera in 1931 and can be found inside the Diego Rivera Gallery, where you’ll also find new projects displayed by SFAI artists. Perhaps one of the most popular tourist spot in the city, PIER 39 offers plenty of art, activities and views you’ll want to capture on Instagram. But for your most fun shots, we recommend taking a ride on the San Francisco Carousel. Handcrafted in Italy, the work of art is hand-painted with local landmarks like the Golden Gate Bridge, Coit Tower, Chinatown, Lombard Street, Alcatraz and the famous California sea lions at PIER 39. It also features 1,800 LED lights and more than 30 animals to ride! The origins of the San Francisco Flower Mart date all the way back to the late 1800s, but the market officially opened in September 1956 as the San Francisco Flower Terminal. Today, the market has grown into a marketplace for floral wholesalers and offers more than 60 vendors, purveyors of cut flowers, potted plants, blooming plants and floral supplies. Open to the general public with special hours Monday through Saturday, we recommend swinging by for all your floral artwork needs—both on Instagram and off. Originally opened in 1935 as San Francisco Museum of Art, this SF institution has been bringing art to life in the city for decades. It was one of the first museums to recognize photography as a fine art; they presented Jackson Pollock’s first solo museum exhibition; The Artists Gallery was the first program of its kind in the country—and this was all before Modern was even added to the name in 1975! Check out SFMOMA on Facebook to get a peek inside. 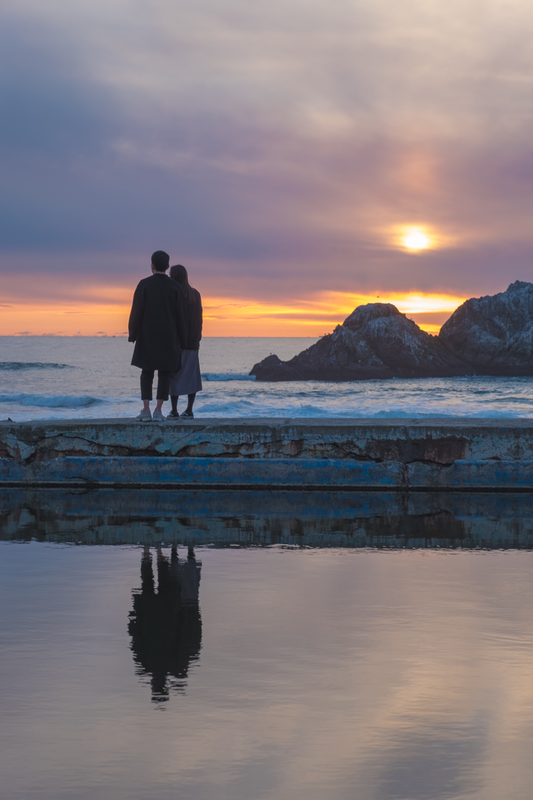 The legendary Sutro Baths were developed in 1894 by the same person who designed Sutro Heights and the second Cliff House, a great spot for brunch, lunch, dinner and views right beside the baths. The baths were originally housed inside a glass enclosure and contained seven different swimming pools that were filled by the Pacific Ocean during high tide and could allow up to 10,000 guests at one time. Today, the quiet baths offer a more simple, picturesque getaway from the hustle and bustle of the city. Follow @mcguire_re on Instagram for more inspiring shots of the city, beautiful properties and the latest from our community blog, Discover Your View. And don’t forget to tag #DiscoverYourView for a chance to be featured in our feed!